Rocket Rentals are a leading broadcast camera equipment and TV crew hire facility, who have provided services to the NZ film and television industry for over 25 years. With branches in Auckland and Wellington, Rocket can supply your production with equipment and crew nationwide. Choose from Rocket’s extensive range of equipment and select the camera format, lenses and accessories to suit your production and budget. Cameras and formats available include ARRI ALEXA XT, RED Epic Dragon, RED Epic-X, Sony F5, RED MX, Sony F3, Canon C300, Sony F900R HDCAM, Sony F800 XDHD, Panasonic HPX-3000, Sony EX-3, EX-1 XDCAM EX, Sony PMW 200, Canon 5D MKII, DVCAM, Pencil Cameras, and P2. Rocket Rentals have full time DOP’s, sound operators, camera operators, camera assistants, and data wranglers available to work on your next production. 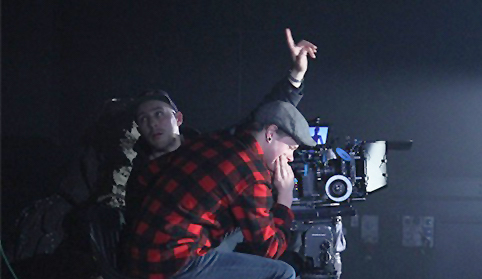 Rocket Crew are all experienced, highly-skilled industry professionals who have a broad range of television, TVC, documentary, corporate, music video and feature film EPK credits. Rocket Crew work to the highest professional standard and come highly recommended. Rocket Rentals has an extensive range of cameras and accessories for hire, covering the latest in technology from the world’s leading manufacturers. Rocket Rentals have full time DOP’s, sound operators, camera operators, camera assistants, and data wranglers available to work on your next production.